The first Digital Corrugated Experience at FESPA Global Print Expo 2018 (15-18 May 2018) delivered a valuable, ‘hands-on’ learning environment for visitors interested in digital printing on corrugated board, including brand owners, packaging converters and graphics producers. 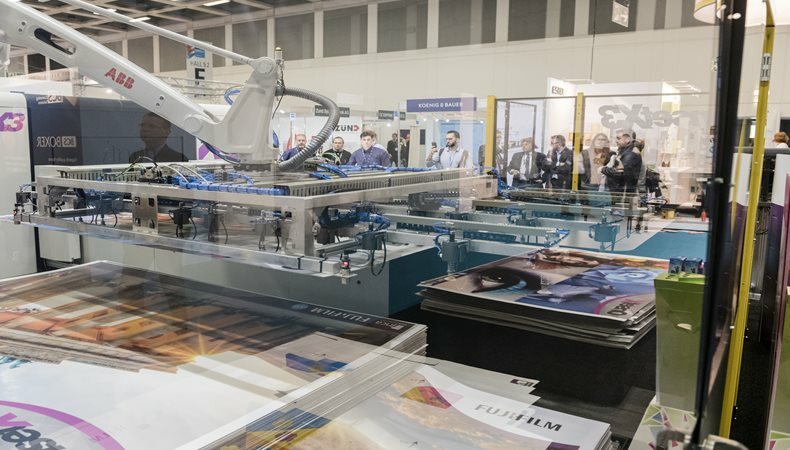 In addition to the 600+ delegates who specifically travelled to Berlin for the Digital Corrugated Experience, the feature also attracted interest from some 3000 visitors from the wider FESPA event, equating to 14% of the total FESPA visitor audience. The Digital Corrugated Experience drew decision-makers from as far afield as Argentina, Brazil, Canada, Chile, Hong Kong, Israel, Japan, the Russian Federation, Saudi Arabia and South Africa, in addition to a strong European visitor base. The leading countries for visitor attendance at the Digital Corrugated Experience 2018 were Germany, Turkey, Poland, Spain, UK, Netherlands, Italy, Belgium, Sweden and Ukraine. Participating visitors represented a range of businesses, including blue-chip global brands across diverse sectors such as food, beauty, sportswear and travel, united by the opportunity presented by digital printing on corrugated for short-run and just-in-time production, prototyping and personalisation. These were joined by specialist packaging producers and their supply chain partners, as well as graphics producers looking to expand their capabilities in three-dimensional corrugated point of sale (POS) applications. This growing interest in digital production for packaging applications was also reflected in the FESPA 2018 Census, the results of which were published during the event. Packaging printers among the respondents indicated that digital printing technology was being used in around 30% of their printed output, with 60% of packaging printers owning UV flatbed or hybrid digital print solutions. 42% of packaging respondents specifically highlighted corrugated as a growth application, although digital only accounted for 31% of corrugated production revenues, indicating lower rates of digital adoption than for folding carton or flexible packaging production. The survey also highlighted POS display as a growth business for 59% of sign makers and graphics producers. The Digital Corrugated Experience 2018 showcased the production solutions of 17 exhibitors, many of whom shared very positive feedback regarding their participation in the launch event.